An ethnobotanist, Nat Quansah reintroduced the use of native plants as medicine to thousands of Malagasy people in an Ambodisakoana clinic he opened, educating the community about the need for forest conservation. Madagascar is the fourth largest and one of the most isolated of the world’s great islands. This isolation gave rise to a tremendous array of unique plants and animals. More than 80 percent of Madagascar’s species are endemic and represent about five percent of the world’s total plant and animal species. Though humans arrived on the island only 1,500 years ago, the combination of an increasing population and a poor economy are causing rapid destruction of natural habitats. By 1993, only 25 percent of the country’s original forests remained. As in most remote regions of the world, western pharmaceutical products are not readily available in Madagascar. Meanwhile, countless traditional plant-based remedies have been devalued and forgotten. Ironically, many of the pharmaceuticals used in Western medicine have been derived from plants found in tropical rain forests. For example, the rosy periwinkle, a plant indigenous to Madagascar, is the source of an essential element of a drug used to treat childhood leukemia, increasing chances of recovery from 20 to 80 percent. 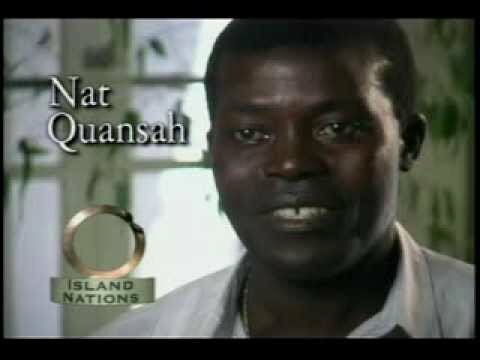 Concerned about deforestation and the loss of many cultural traditions, Nat Quansah, opened a clinic in the northwestern village of Ambodisakoana in 1994. There he developed and implemented the Integrated Health Care and Conservation Program in which the cultural tradition of using natural substances for medicinal purposes is being reintroduced. With the assistance of a local traditional healer, he taught the community to treat coughs, diarrhea, fever and wounds using local plants. Some more serious illnesses, such as malaria, are still treated with pharmaceuticals. News about Quansah’s remote clinic spread quickly and today, people walk for miles on jungle trails in order to access its services. The first year 852 patients were treated. Since its opening, the clinic has treated thousands of patients, some coming from towns as far away as 130 kilometers (80.8 miles). The use of local medicinal plants in the treatment of certain diseases at the Ambodisakoana clinic has helped the Malagasy people to understand the importance of saving these plants. Many are being cultivated in the clinic’s medicinal garden to ensure they won’t disappear if destroyed in the wild. In addition to running the clinic, Quansah has also taught courses on ethnobotany at the University of Antananarivo. 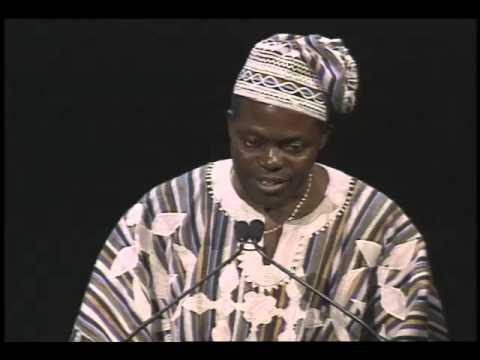 Originally from Ghana, Quansah has a Doctorate in philosophy and a Master’s in botany. For many years, his work in linking health with the environment was done in cooperation with the World Wide Fund for Nature International in Madagascar.